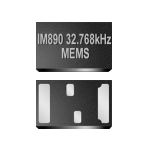 ILSI MEMS oscillators incorporate MEMS resonators which are microelectromechanical structures that define stable frequencies. MEMS oscillators offer a high level of resilience against vibration and mechanical shock, and reliability with respect to temperature variation. MEMS are excellent for ruggedized commercial or mil/aero applications due to the cost-effective standard plastic packages. All ILSI MEMS products offer QFN packages that are footprint compatible to quartz clock oscillator devices. ILSI MEMS highlights include: Better stability and aging with no activity dips. Programmable Silicon. Excellent phase noise performance featuring typical RMS phase jitter of 500 femto-seconds, and a maximum of 1ps, integrated from 12kHz to 20MHz. Samples in 5 days or less.